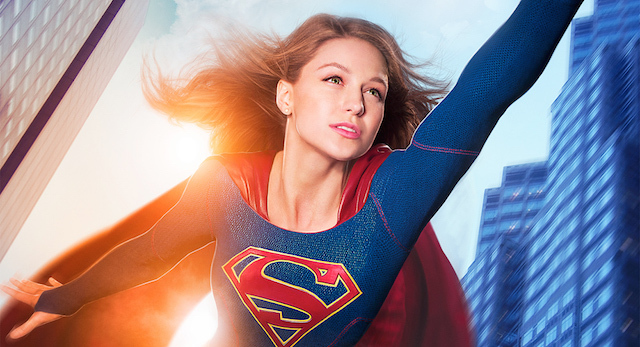 Today, we present a fantastic guest post about the newest "Super" show in town - Supergirl. Our guest poster, chaila, is a vidder, fangirl and heroine addict who has previously written posts for Lady Business about Wonder Woman, Sarah Connor and feminism in Pacific Rim. We love her words and are so excited to have her at the blog today. Internet, like many of you, I have been waiting with bated breath for Supergirl, and now it's here and I'm so happy! This is a squee post based on the first three episodes of Supergirl on CBS. It's probably risky to write a squee post after only three episodes of anything, but I'm going to do it anyway. Note that this is not a post about the ways it's not perfect, though of course it isn't. There has already been a lot of discussion about those things. This is a post about some of the choices the show is making and some of the things I appreciate the show trying to do. It's a post about the parts of Supergirl that make me really, really happy. This post contains capslocks and gifs, because that is just how I feel about Supergirl!